It's not the Easter Bunny, the Easter Bonnet, beautifully colored eggs or putting on a pretty new dress for Easter dinner. It is a special day to celebrate the Resurrection and our hope for Man's Salvation. Have a wonderful and safe Holiday and may peace be with us all. For those who will not be celebrating a holiday, we want to wish you a very enjoyable and safe weekend. Our Staff looks forward to serving you in the near future. Our office and warehouses will be closing at 2:00 pm on Friday, but we'll be ready to serve our customers on Monday during regular business hours. Sean O'Casey once said: "No man is so old as to believe he cannot live one more year". We can add to that: "No toner cartridge is that old that it can't be expertly remanufactured" to save you a little green. Remanufactured printing cartridges are Green and St Paddy would certainly recommend them to help preserve the environment. Therefore, go ahead and Save an additional 20% on quality built, fully guaranteed products. Discount works from March 15-th until March 21-st.
We have them for immediate shipping. A month has already passed since, Priceless had the pleasure to exhibit and meet the many residents and local businesses of our County. 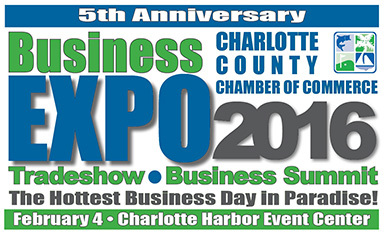 It was a wonderful event and our thanks to those, who worked so hard to organize, promote and make this the best Business Expo yet. Priceless is thankful for the many new Customers that have visited our retail location in Port Charlotte during the past month. Many of the Customers said to our Staff: "Gee, we didn't know you where here and your prices for printer / copier supplies are fantastic". That was great to hear! Yes, our goal is to provide quality products at very competitive pricing and offer everyone great hometown service. We want to earn your business and trust for a long time. We also appreciate your personal referrals of family and friends. on any quality remanufactured / compatible product in our catalog. You'll enjoy the savings and friendly service. If ordering on-line, use coupon code EXPO15 at checkout for 15% discount (excludes OEM products).